Sun Bum Sunscreen Review (Updated 2018): Does it Deliver what it Claims? What is Sun Bum Sunscreen? Haven’t you already grown tired of hearing reminders from the authorities, from your friends and family even, perhaps, that you shouldn’t let the sun touch your skin without any form of protection? Well, if you still haven’t heeded to the clamor then, you do deserve the nagging. Did you know that skin cancer is the top form of cancer affecting millions of Americans every year? This is according to no less than the Center for Disease Prevention and Control. The Skin Cancer Foundation, on the other hand, projects that at least one in every five Americans will have a bout with skin cancer at some point in their lives. What are the Ingredients in Sun Bum Sunscreen? If these figures still fail to alarm you then, how about the fact that sun damage is the primary cause of premature aging? If your health isn’t enough of a motivation to wear sunscreen then, perhaps vanity will force you to religiously put on sunscreen. Sun Bum Sunscreen provides broad spectrum sun protection in SPF 15, SPF 30, SPF 50 and SPF 70 varieties, in a super sunscreen formulation that has received two thumbs up from the Skin Cancer Foundation. All varieties are laden with five types of chemical sunscreen actives that include Avobenzone, Homosalate, Octisalate, Octocrylene and Oxybenzone. However it contains alcohol which causes skin dryness or irritation. All formulations are certified water resistant. 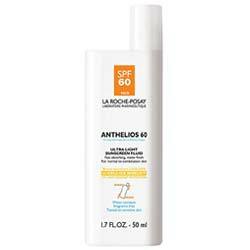 Get any level of SPF protection for only US$15.99 for every 8oz. bottle. 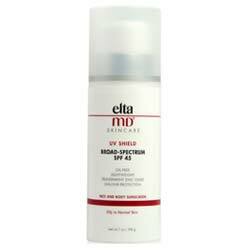 SPF 15 – Active: Avobenzone 2.00%, Homosalate 5.00%, Octisalate 2.00%, Octocrylene 1.85%, Oxybenzone 3.00%. SPF 30 – Active: Avobenzone 3.00%, Homosalate 5.00%, Octisalate 3.00%, Octocrylene 2.75%, Oxybenzone 4.00%. SPF 50 – Active: Avobenzone 3.00%, Homosalate 10.00%, Octisalate 5.00%, Octocrylene 2.75%, Oxybenzone 6.00%. Hydrated Silica: It is a natural anti-inflammatory that helps relieve skin conditions.However it may cause side effects on sensitive skin. Other than Vitamin E, no other ingredient included in product formulation is disclosed by the company. Never go out in the sun without protection. On clean skin, apply Sun Bum Sunscreen at least 15 minutes before soaking in the sun. 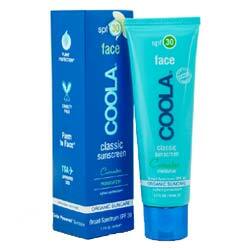 Reapply product after swimming or excessive sweating. Keep reapplying every two hours. Sun Bum sunscreens have received a seal of approval from The Skin Cancer Foundation, proving the effectiveness of the product in blocking out harmful UV rays. This product helps to neutralize free radicals, which are the main cause of premature skin aging but it cause dryness on skin. This product is currently only directly distributed by the manufacturer in US territories. Outside of US, try reseller sites like Amazon and eBay. Sun Bum Sunscreens are also heavily laden with chemical sunscreens which, the Environmental Working Group, has repeatedly reported can cause long-term effects that may be detrimental to the health of users. This product contains alcohol which cause skin dryness or irritation. 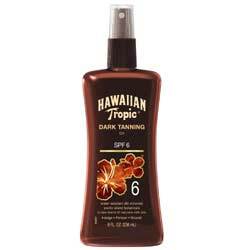 The trouble with chemical sunscreens is that these have been found to mimic hormones which regulate body processes. Sun Bum may be great at providing sun protection but it will do you good to read up more on its sunscreen components so you can make a smart decision about this product. This product offers return policy.